Before achieving widespread success, most rappers are forced to endure a series of hardships. But few have gone through the same kind of trials and tribulations that Gucci Mane has. Despite the pitfalls, Gucci Mane takes each moment in stride, both playfully and insightfully. After building up a solid buzz in the South in the early 2000s, thanks to the overwhelming success of his infectious 2003 club anthem,  featuring fellow up-and-coming Southern rapper Young Jeezy, Gucci Mane caught an attempted murder charge during a much-publicized beef with Jeezy and had to serve a year in prison. Upon his return, he released his debut album, Trap House, his stellar sophomore project, Hard To Kill, and his 2007 major label debut, Back To The Trap House, before eventually being forced to serve another year-long prison sentence for a probation violation stemming from a 2005 incident. But Gucci Mane wouldn't let a second major legal battle stop his movement. Instead, he jumped into the studio for days at a time before his sentence started and recorded dozens of songs that he eventually released through his So Icey Entertainment and 1017 Brick Squad Records imprints while he was incarcerated to help keep his name alive in the streets. It worked, and by the time Gucci Mane was released in March 2009, his buzz was better than ever and he immediately started recording songs for what would become his second major label album, The State Vs. Radric Davis. By late 2009, the album was finished. Featuring the smash singles, Wasted, and Spotlight, featuring Usher, The State Vs. Radric Davis was shaping up to be the biggest release of Gucci Mane's career. While he had already enjoyed plenty of success in the South and routinely made thousands of dollars for performing at shows every night, the album was projected to move him into the upper echelon of rap. He looked like he was primed to end the year on a positive note. Unfortunately, he had one more hurdle to clear and it was a big one. He didn't let those moments go to waste, though. While in prison serving a one-year sentence, Gucci Mane wrote rhymes constantly, stayed in touch with his Brick Squad affiliates Waka Flocka Flame and DJ Holiday and set the stage for his return by releasing an official mixtape, The Burrrprint 2 HD, in March, which moved more than 15,000 units in its first week in stores. All of this prepared Gucci Mane to get back on his grind when he released from prison in May. And grind he did. He released several notable mixtapes, including Jewelry Selection hosted by DJ Holiday in August and Ferrari Music hosted by DJ Drama in September, toured the country and also completed The Appeal his second major label album through So/Icey/Asylum/Warner Bros. Records. With the help of a strong first single, Gucci Time, featuring Swizz Beatz, and guest appearances from Ray J, Pharrell, Nicki Minaj, Wyclef and Bun B as well as production efforts from Drumma Boy, Zaytoven, and the Neptunes Gucci Mane proved that you might be able to lock him up, but you certainly can't lock him down. It wasn't before long, however, that Gucci Mane was back in infamy's unforgiving life. At the end of 2010 and beginning of the New Year, the rapper was involved in a series of well-publicized events including a relapse in his rehabilitation, being detained in a police raid, undergoing a psychiatric evaluation, and the acquisition of an uncanny face tattoo. But it appears that Gucci Mane is now in a better place and is getting back to the music. On March 22, the Atlanta enigma will release the next chapter in his series of street albums titled The Return of Mr. Zone 6, which will be available on online music stores as well as in local retailers. "This street album is a return to the music that got me buzzin' in the first place," expresses Gucci Mane. "It didn't really make sense to not have some of the people who've been responsible for some of my best street records behind me." 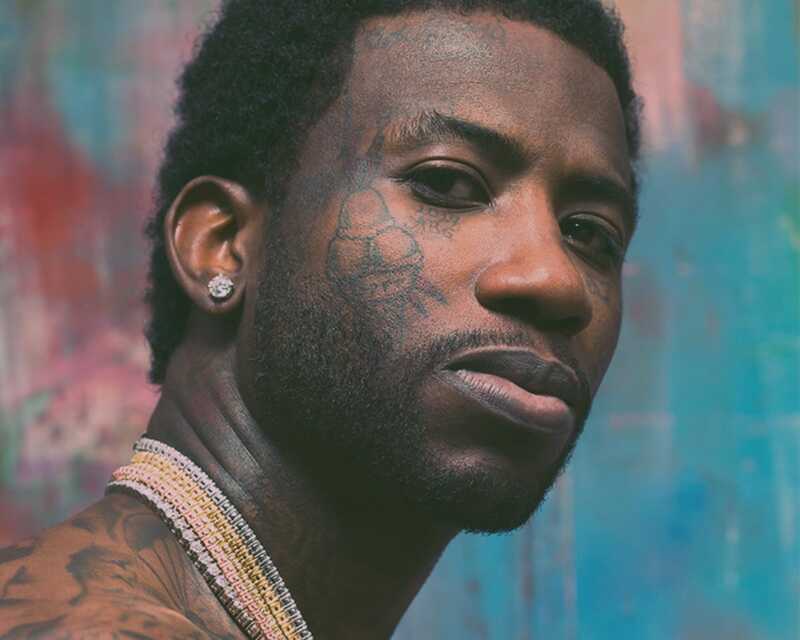 Gucci Mane teamed up with long-time collaborator Drumma Boy to produce the majority of the album with producers Southside and Zaytoven each contributing a song to the 13-track release. Features on the album include Brick Squad counterparts Waka Flocka Flame, OJ Da Juiceman, Cash Money's Birdman, Wale, Master P, Webbie, 8ball, Rocko and Wooh the Kid. 2009 was a great year. 2010 was a hell of a year. I'm hoping 2011 will be a hell of a great year. This project is going to set the tone for the new decade and I can't wait for the feedback from the supporters, haters and everyone in between. I'm back, yall. BRRR!! !